The Financial Times published an incorrect story about the European Central Bank's interest rate decision 10 minutes before the official announcement was made, triggering a move in financial markets. 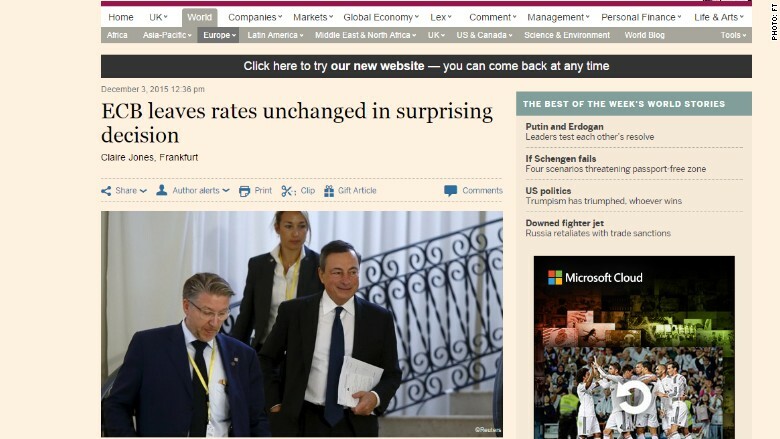 The FT said the ECB left interest rates unchanged, while the bank actually decided to cut a key rate instead. The euro spiked 0.4% on the FT story. The ECB decision was hugely anticipated in the markets across the world, with investors expecting the bank to cut rates to give boost to Europe's struggling economy. The FT's former Washington bureau chief, who is now the Washington bureau chief at Bloomberg, Megan Murphy, tweeted "Um, did we just have an embargo break?" shortly after the story published. The incorrect version of the story was up for only few minutes. The FT took the story down, issued a correction, and published a new version within a few minutes. "The story was wrong and should not have been published. The article was one of two pre-written stories — covering different possible decisions — which had been prepared in advance of the announcement. Due to an editing error it was published when it should not have been," the paper said in a statement. News outlets often pre-write stories ahead of crucial events and it's not unusual for reporters to write several versions of the story in order to be prepared for any outcome. 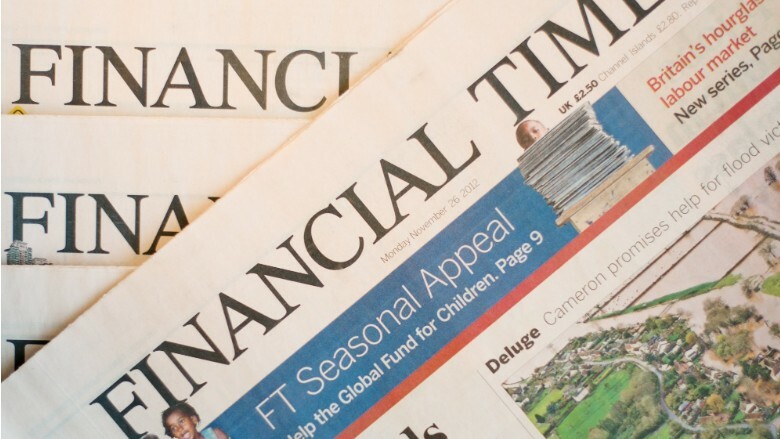 The market-moving mistake comes at a sensitive time for the Financial Times, as its new owner, Japan's Nikkei (N225), assumed control over the paper only three days ago. Ultimately, the euro continued to rally after the ECB announcement, because markets were expecting more dramatic measures. It soared by about 2% to $1.08. Although unusual, mistakes like this happen. Former Bloomberg editor Chris Wellisz lost his job in August after breaking an embargo on a crucial Fed announcement. Correction: An earlier version of this article incorrectly reported that Megan Murphy is still the FT's Washington bureau chief. She is now bureau chief for Bloomberg.